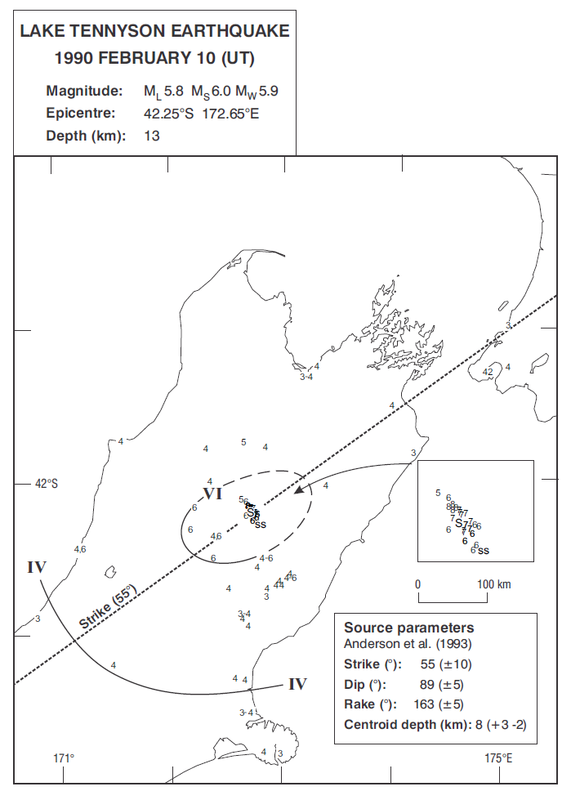 At 12.02 a.m., on Monday 14 November 2016 NZDT, a magnitude 7.8 earthquake struck 15 km north-east of Culverden, North Canterbury, starting near the town of Waiau. 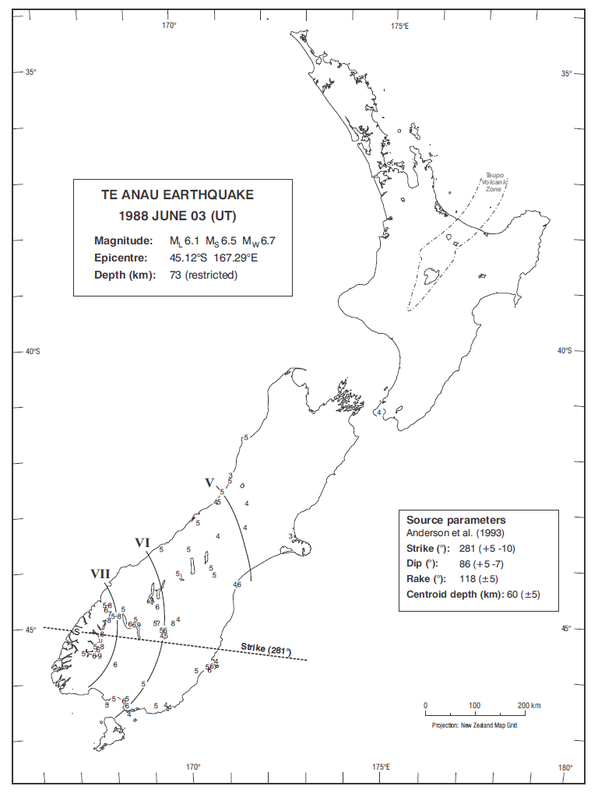 At 4.37 a.m., on the 2 September 2016, a magnitude 7.1 earthquake struck off the northern East Coast of North Island, 125 north-east of Te Araroa. 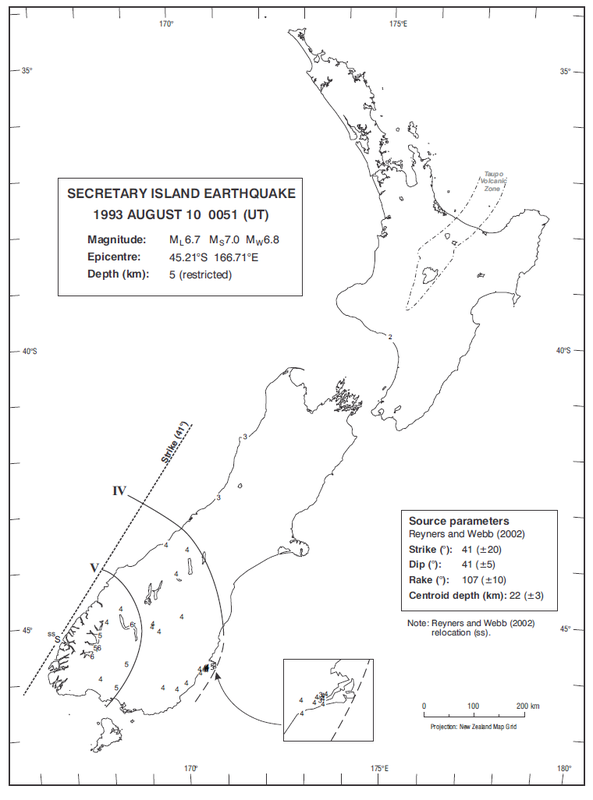 This quake was widely felt in both islands. 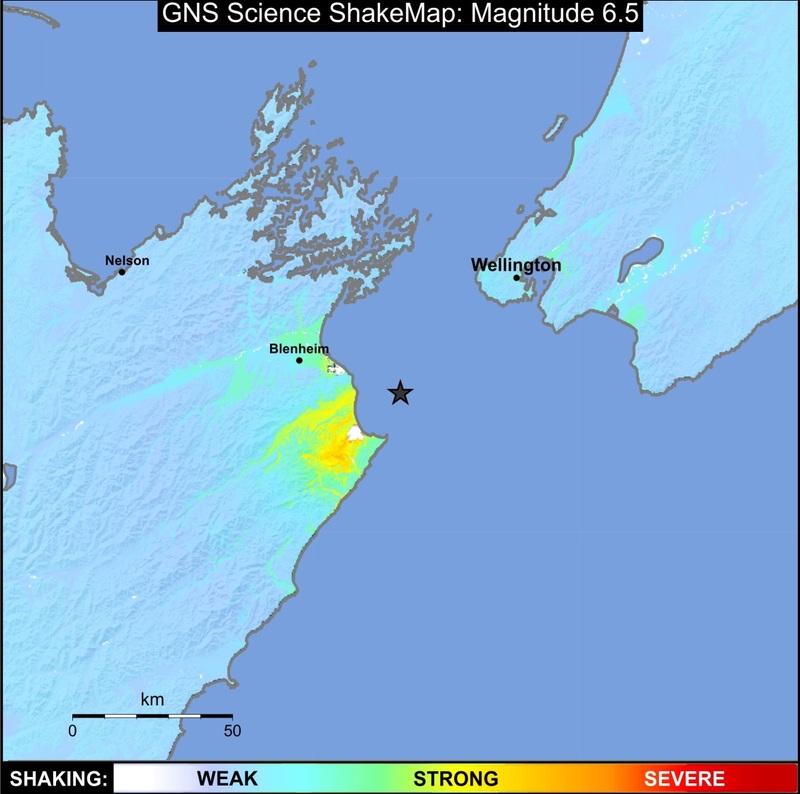 Strong shaking was reported as far as Palmerston North and Masterton. 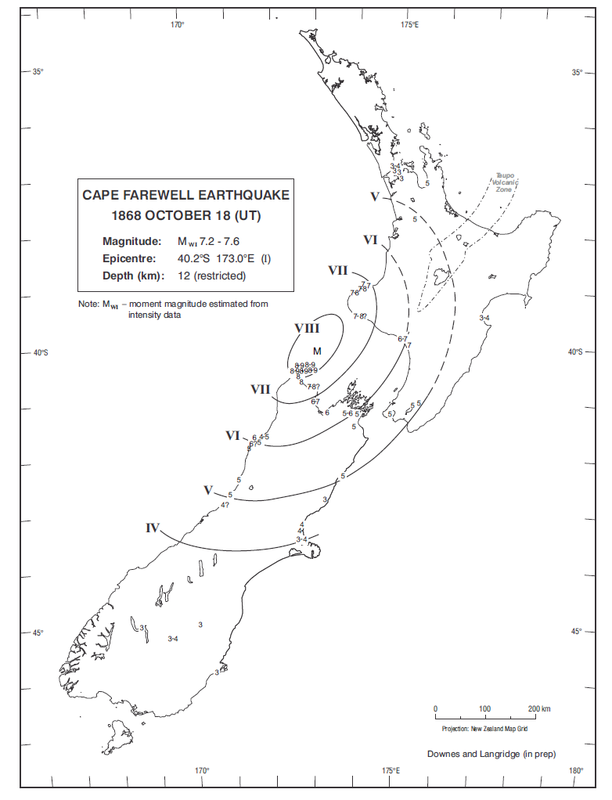 This earthquake followed the magnitude 6.5 Cook Strait earthquake on 21st July. 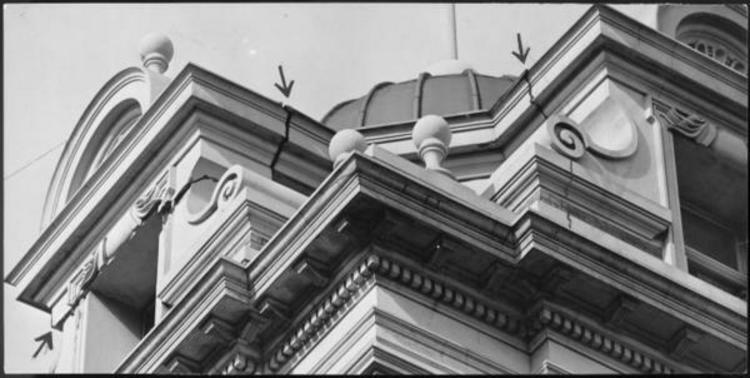 It caused damage to buildings on both sides of Cook Strait. 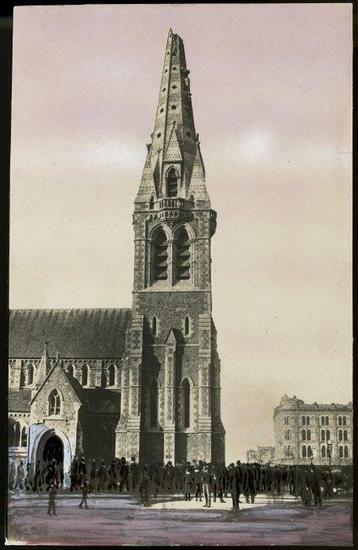 The city of Christchurch experienced a major earthquake centred south of the city; severe damage and casualties occurred. 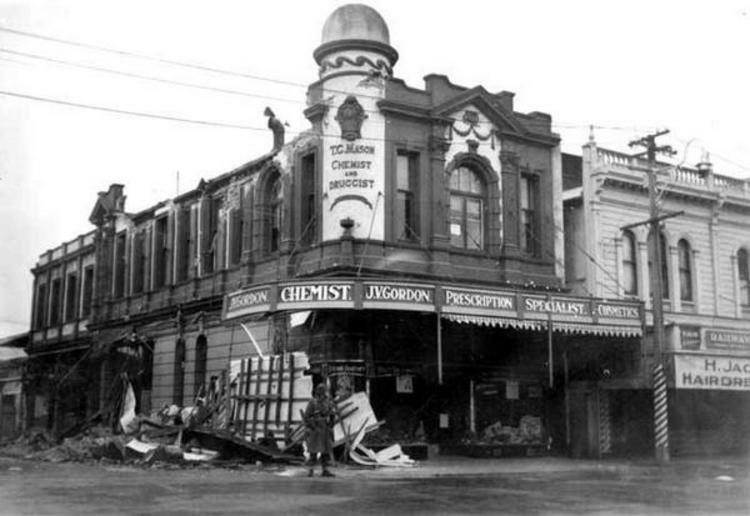 The Darfield earthquake caused severe building damage in mid-Canterbury, particularly to the city of Christchurch. 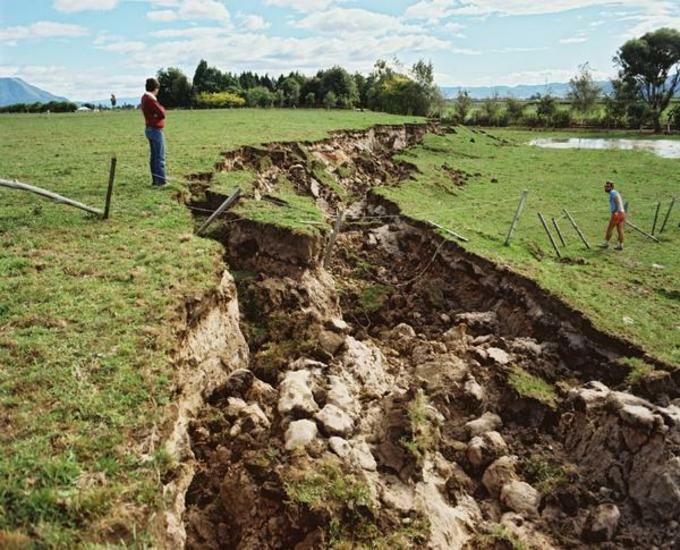 It revealed the existence of a hidden west-east fault under the gravels of the Canterbury Plains. 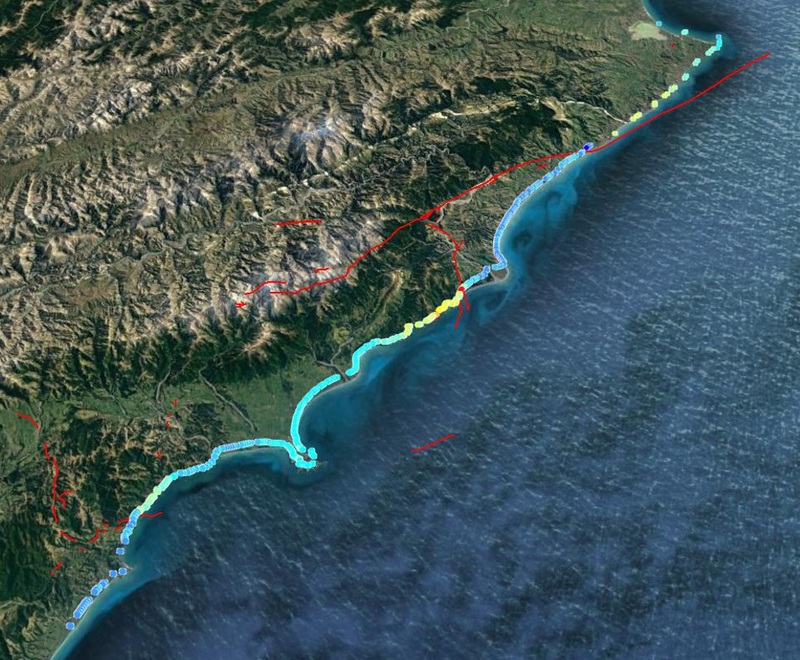 The earthquake which struck the Fiordland region in the evening of Wednesday 15 July was the biggest since the Buller and Hawke's Bay earthquakes of 1929 and 1931. 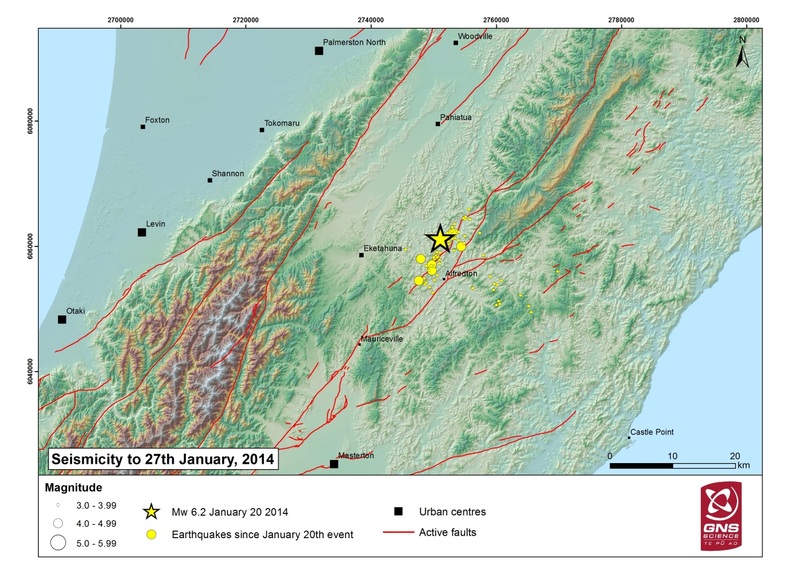 A magnitude 6.7 earthquake struck at 8:55 pm on Thursday 20 December. 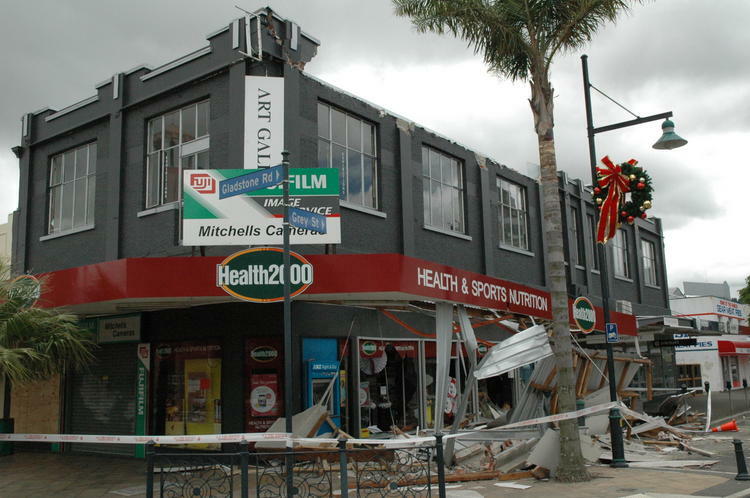 Located offshore, it caused damage to chimneys and buildings at several places along the East Coast, particularly in the Gisborne CBD. 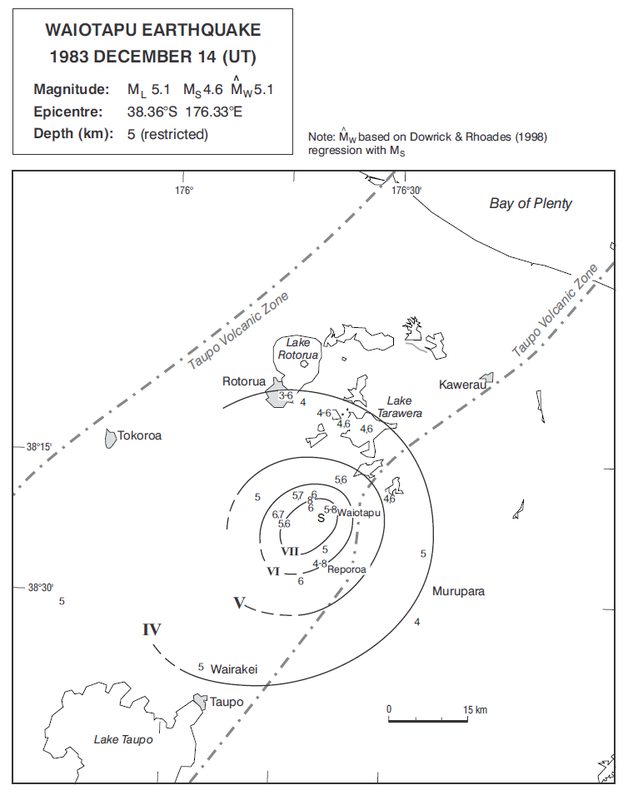 The 1993 Secretary Island earthquake was reportedly felt as far away as Sydney, Australia. 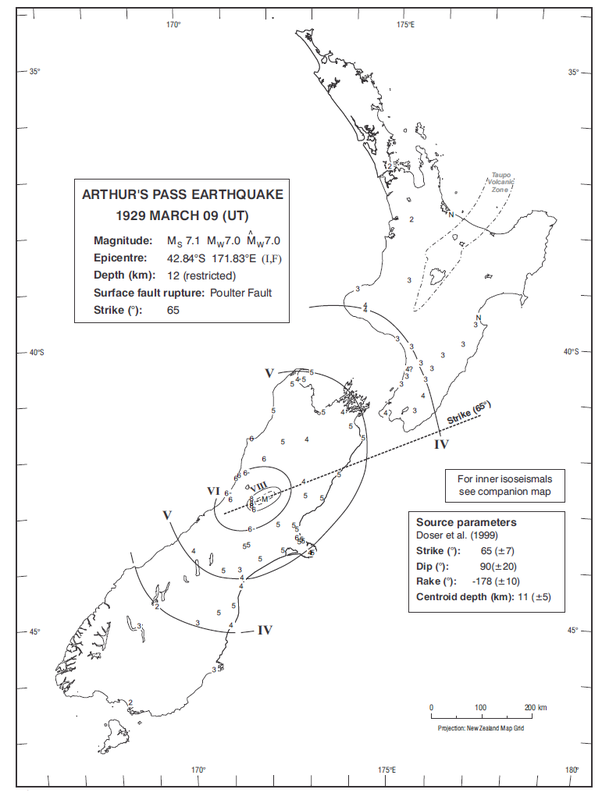 This earthquake was the second large shock to strike the Weber region in 1990, occurring 12 weeks after its predecessor. 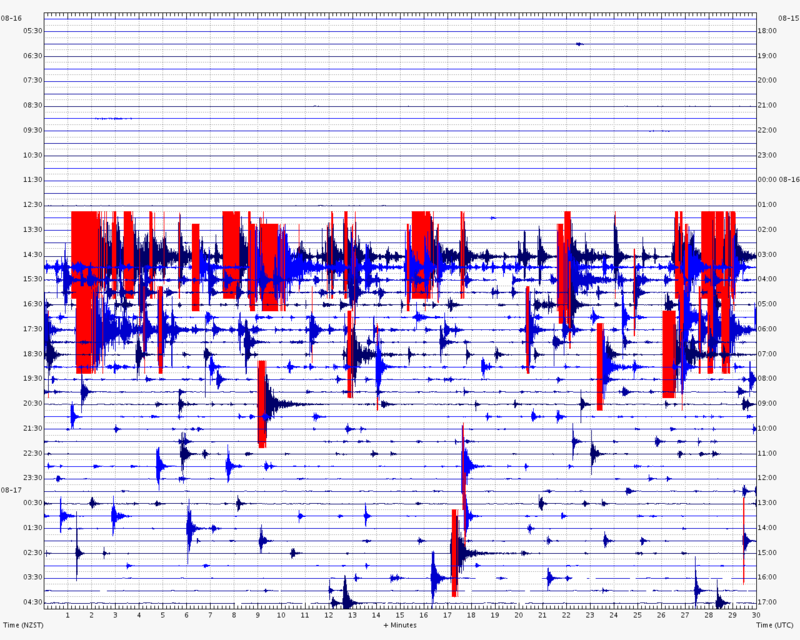 This earthquake occurred in North Canterbury near Lake Tennyson. 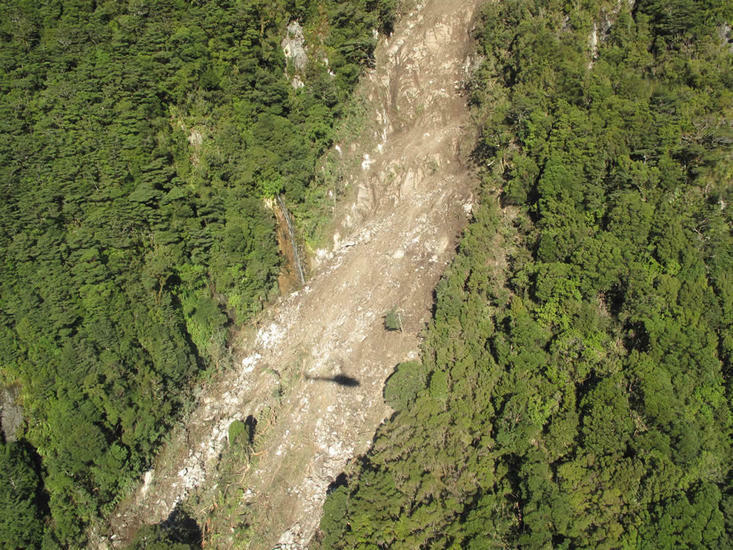 The earthquake that shook Te Anau in June 1988 triggered numerous landslides, and even cut the power to some southern towns. 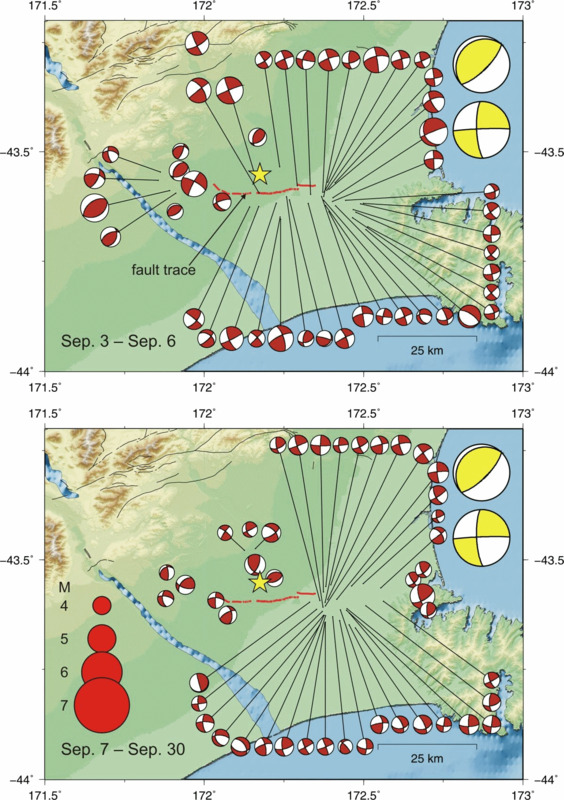 The shallow origin of this earthquake made it very destructive. 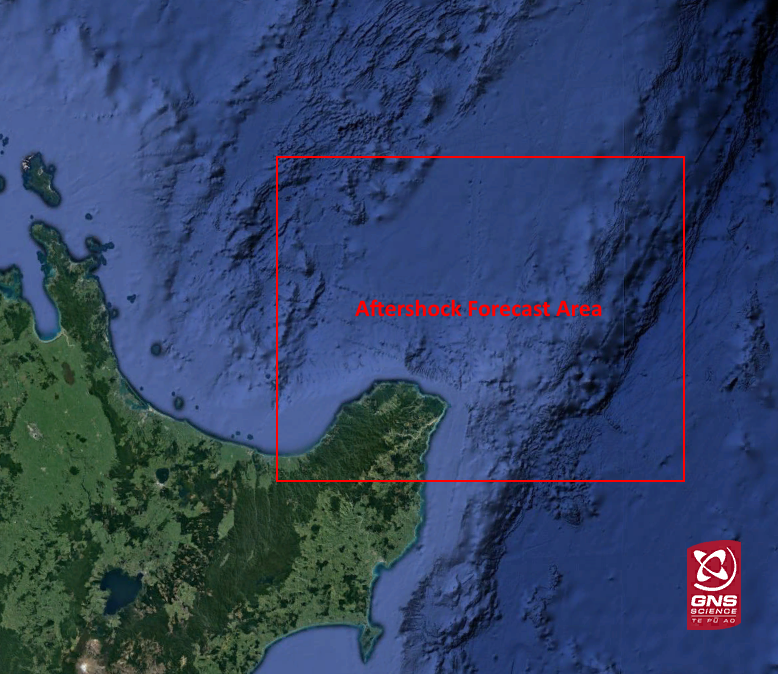 This earthquake was felt most strongly in the Napier and Taradale regions. 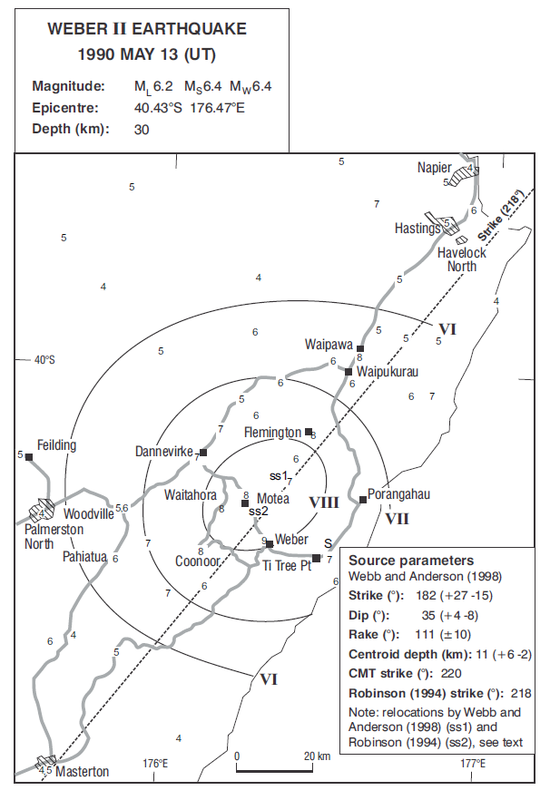 This earthquake struck the rural area around Korakonui, near the Waikato River. 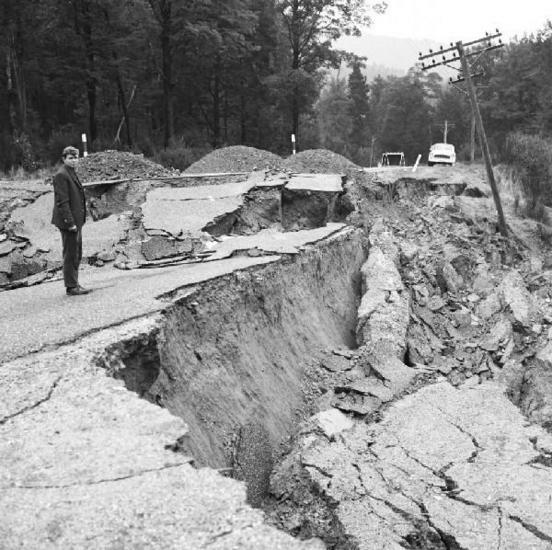 The 1968 Inangahua earthquake caused widespread damage and was felt over much of the country. 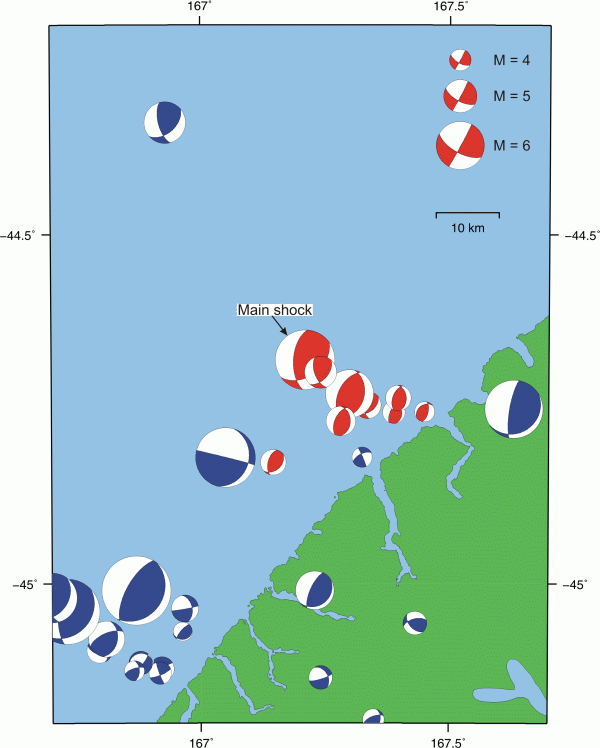 This shock was centered near Cape Campbell, but was felt as far away as Hokitika and Taranaki. 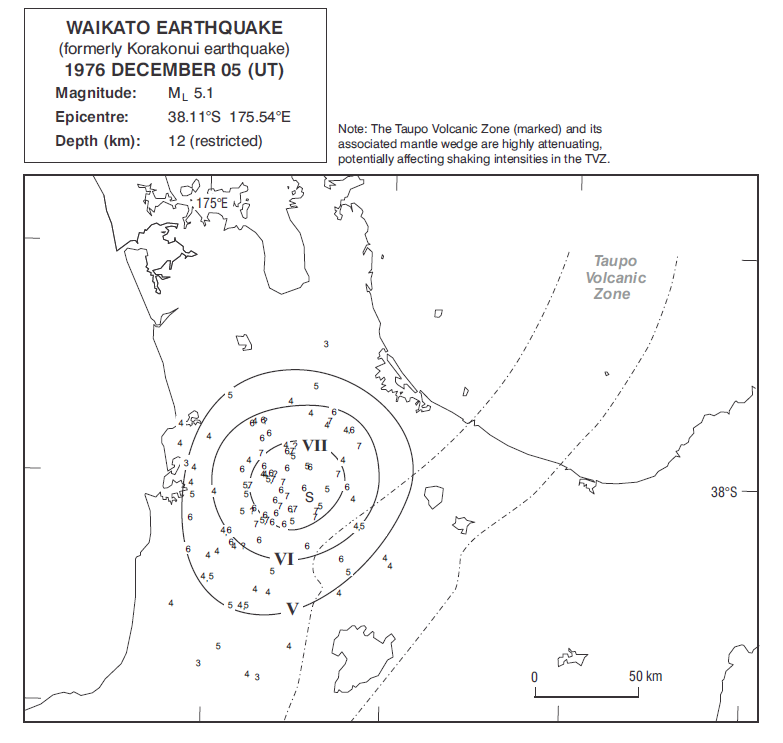 The shock that struck the Wairarapa Region on 2 August was nearly as severe as the disastrous 24 June earthquake 5 weeks earlier. 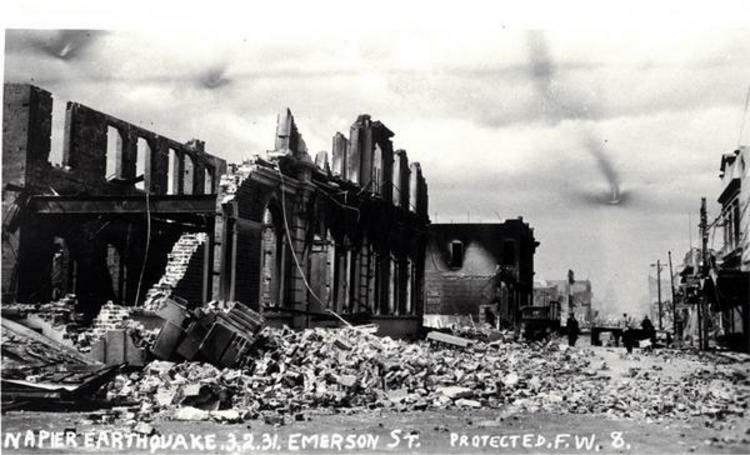 This earthquake severely rocked the lower North Island on June 24 1942, causing extensive damage to local buildings. 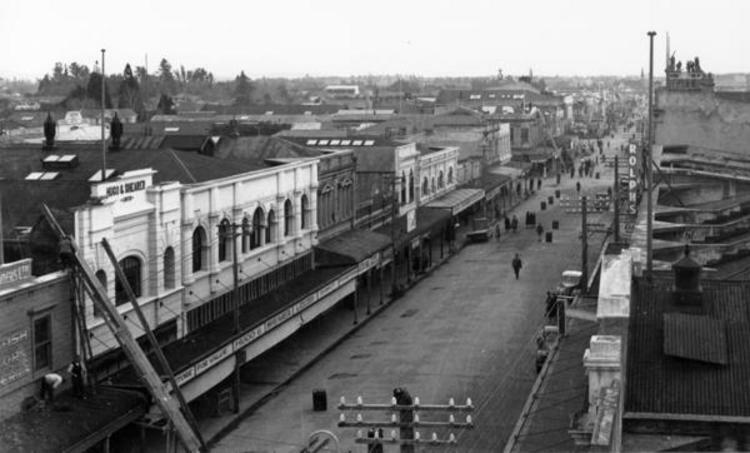 The 1934 Horoeka (Pahiatua) earthquake shook the lower North Island on 5 March 1934 and was felt as far away as Auckland and Dunedin. 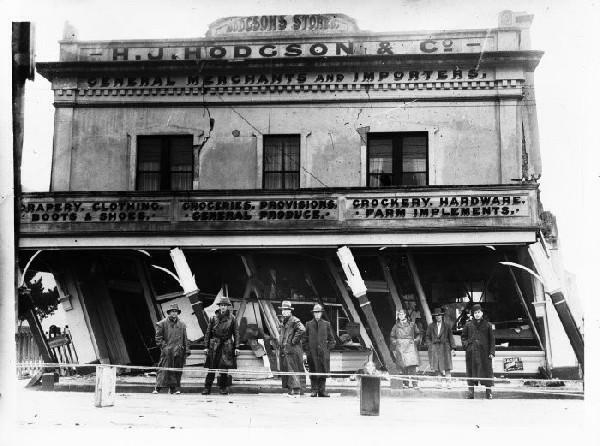 The 1931 Hawke’s Bay earthquake caused the largest loss of life and most extensive damage of any quake in New Zealand’s recorded history. 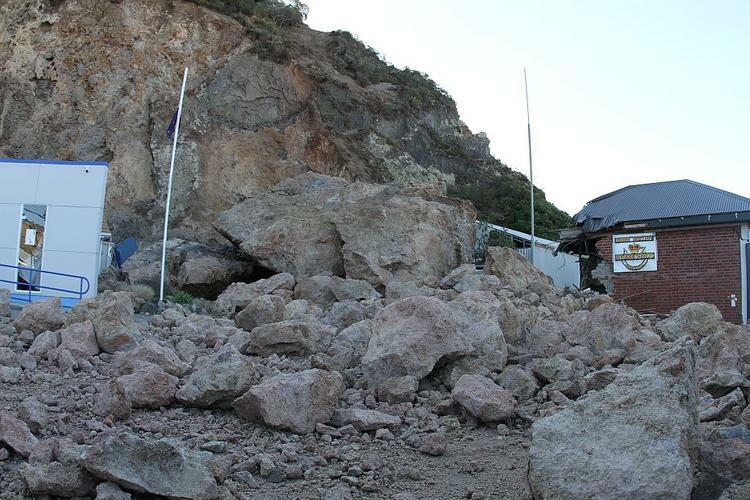 This earthquake toppled chimneys and furniture in the Arthur's Pass area. 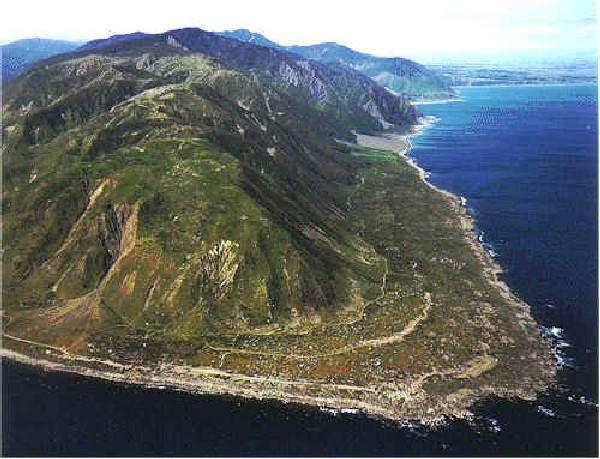 In 1888 the Amuri District was shaken by a large earthquake that reached intensities of MM 9. 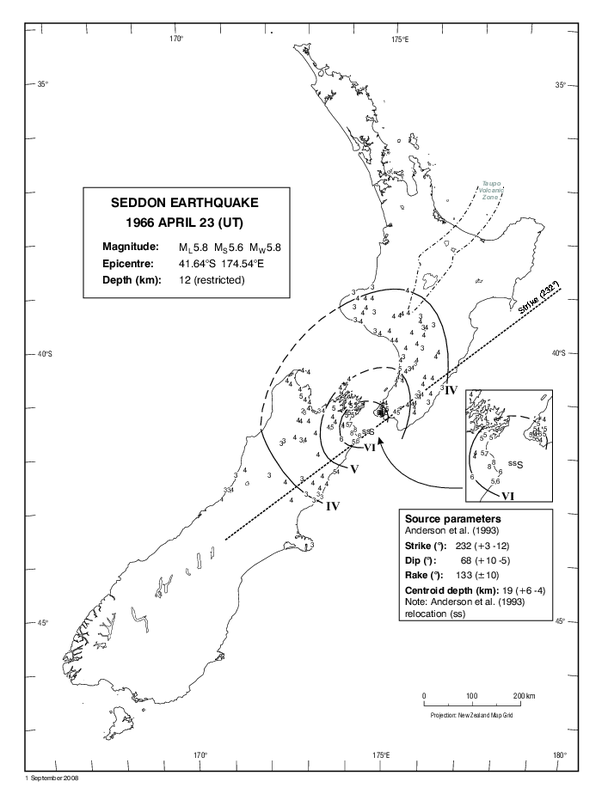 This earthquake caused damage to houses and roads around the Farewell Spit area. 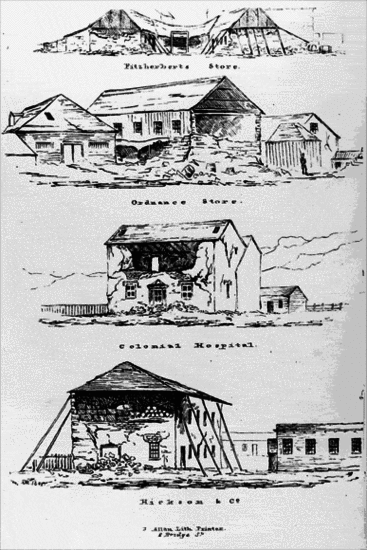 The 1855 earthquake is the most severe earthquake to have occurred in New Zealand since systematic European colonisation began in 1840. 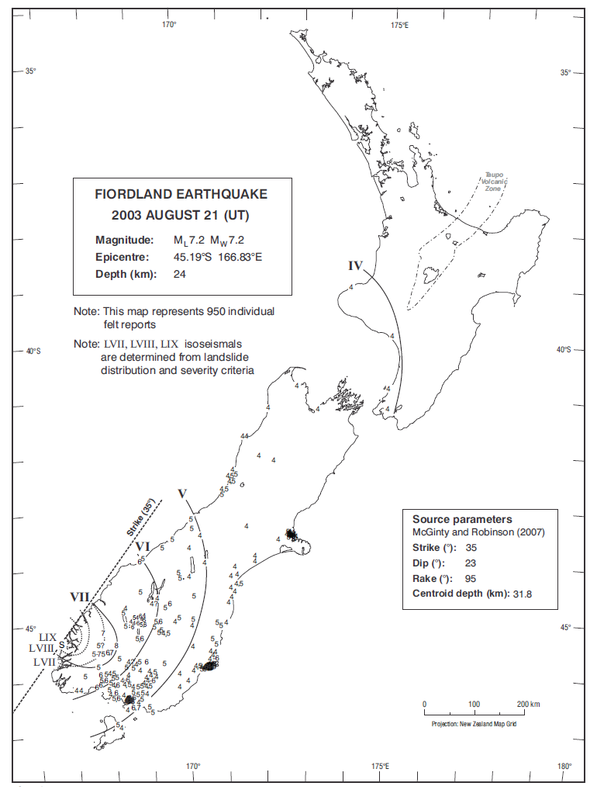 The earthquake that shook Marlborough on Monday, 16 October 1848 was the largest in a series of earthquakes to hit the region that year.